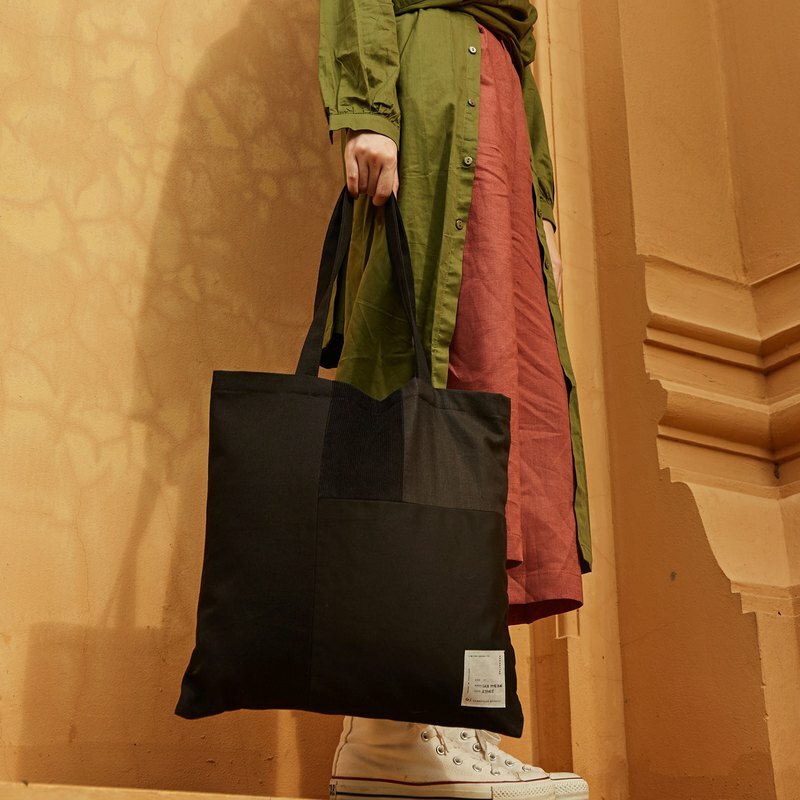 Black Tote Bag with a patchwork technique. Simple with a twist details! Recycled from vintage clothes and dead stock fabrics then match them with a signature Patchwork technique which was inspired from the golden section. Material : Vintage Clothes & Dead Stock Fabrics Inside Details : 100% cotton lining with a small pocket Craft paper with natural soil ink Tag Size : 40x40 cm Strap Length : 28 cm.